YUSUFALI: A.L.R. These are the symbols (or Verses) of the perspicuous Book. PICKTHAL: Alif. Lam. Ra. These are verse of the Scripture that maketh plain. SHAKIR: Alif Lam Ra. These are the verses of the Book that makes (things) manifest. 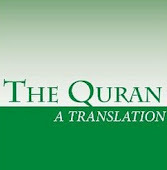 YUSUFALI: We have sent it down as an Arabic Qur'an, in order that ye may learn wisdom. PICKTHAL: Lo! We have revealed it, a Lecture in Arabic, that ye may understand. SHAKIR: Surely We have revealed it-- an Arabic Quran-- that you may understand. YUSUFALI: We do relate unto thee the most beautiful of stories, in that We reveal to thee this (portion of the) Qur'an: before this, thou too was among those who knew it not. PICKTHAL: We narrate unto thee (Muhammad) the best of narratives in that We have inspired in thee this Qur'an, though aforetime thou wast of the heedless. SHAKIR: We narrate to you the best of narratives, by Our revealing to you this Quran, though before this you were certainly one of those who did not know. YUSUFALI: Behold! Joseph said to his father: "O my father! I did see eleven stars and the sun and the moon: I saw them prostrate themselves to me!" PICKTHAL: When Joseph said unto his father: O my father! Lo! I saw in a dream eleven planets and the sun and the moon, I saw them prostrating themselves unto me. SHAKIR: When Yusuf said to his father: O my father! surely I saw eleven stars and the sun and the moon-- I saw them making obeisance to me. YUSUFALI: Said (the father): "My (dear) little son! relate not thy vision to thy brothers, lest they concoct a plot against thee: for Satan is to man an avowed enemy! PICKTHAL: He said: O my dear son! Tell not thy brethren of thy vision, lest they plot a plot against thee. Lo! Satan is for man an open foe. SHAKIR: He said: O my son! do not relate your vision to your brothers, lest they devise a plan against you; surely the Shaitan is an open enemy to man. YUSUFALI: "Thus will thy Lord choose thee and teach thee the interpretation of stories (and events) and perfect His favour to thee and to the posterity of Jacob - even as He perfected it to thy fathers Abraham and Isaac aforetime! for Allah is full of knowledge and wisdom." PICKTHAL: Thus thy Lord will prefer thee and will teach thee the interpretation of events, and will perfect His grace upon thee and upon the family of Jacob as He perfected it upon thy forefathers, Abraham and Isaac. Lo! thy Lord is Knower, Wise. SHAKIR: And thus will your Lord choose you and teach you the interpretation of sayings and make His favor complete to you and to the children of Yaqoub, as He made it complete before to your fathers, Ibrahim and Ishaq; surely your Lord is Knowing, Wise. YUSUFALI: Verily in Joseph and his brethren are signs (or symbols) for seekers (after Truth). PICKTHAL: Verily in Joseph and his brethren are signs (of Allah's Sovereignty) for the inquiring. SHAKIR: Certainly in Yusuf and his brothers there are signs for the inquirers. YUSUFALI: They said: "Truly Joseph and his brother are loved more by our father than we: But we are a goodly body! really our father is obviously wandering (in his mind)! PICKTHAL: When they said: Verily Joseph and his brother are dearer to our father than we are, many though we be. Lo! our father is in plain aberration. YUSUFALI: "Slay ye Joseph or cast him out to some (unknown) land, that so the favour of your father may be given to you alone: (there will be time enough) for you to be righteous after that!" PICKTHAL: (One said): Kill Joseph or cast him to some (other) land, so that your father's favour may be all for you, and (that) ye may afterward be righteous folk. SHAKIR: Slay Yusuf or cast him (forth) into some land, so that your father's regard may be exclusively for you, and after that you may be a righteous people. YUSUFALI: Said one of them: "Slay not Joseph, but if ye must do something, throw him down to the bottom of the well: he will be picked up by some caravan of travellers." PICKTHAL: One among them said: Kill not Joseph but, if ye must be doing, fling him into the depth of the pit; some caravan will find him. SHAKIR: A speaker from among them said: Do not slay Yusuf, and cast him down into the bottom of the pit if you must do (it), (so that) some of the travellers may pick him up. YUSUFALI: They said: "O our father! why dost thou not trust us with Joseph,- seeing we are indeed his sincere well-wishers? PICKTHAL: They said: O our father! Why wilt thou not trust us with Joseph, when lo! we are good friends to him? YUSUFALI: "Send him with us tomorrow to enjoy himself and play, and we shall take every care of him." PICKTHAL: Send him with us to-morrow that he may enjoy himself and play. And lo! we shall take good care of him. SHAKIR: Send him with us tomorrow that he may enjoy himself and sport, and surely we will guard him well. YUSUFALI: (Jacob) said: "Really it saddens me that ye should take him away: I fear lest the wolf should devour him while ye attend not to him." PICKTHAL: He said: Lo! in truth it saddens me that ye should take him with you, and I fear less the wolf devour him while ye are heedless of him. SHAKIR: He said: Surely it grieves me that you should take him off, and I fear lest the wolf devour him while you are heedless of him. YUSUFALI: They said: "If the wolf were to devour him while we are (so large) a party, then should we indeed (first) have perished ourselves!" PICKTHAL: They said: If the wolf should devour him when we are (so strong) a band, then surely we should have already perished. SHAKIR: They said: Surely if the wolf should devour him notwithstanding that we are a (strong) company, we should then certainly be losers. PICKTHAL: Then, when they led him off, and were of one mind that they should place him in the depth of the pit, We inspired in him: Thou wilt tell them of this deed of theirs when they know (thee) not. SHAKIR: So when they had gone off with him and agreed that they should put him down at the bottom of the pit, and We revealed to him: You will most certainly inform them of this their affair while they do not perceive. YUSUFALI: Then they came to their father in the early part of the night, weeping. PICKTHAL: And they came weeping to their father in the evening. SHAKIR: And they came to their father at nightfall, weeping. YUSUFALI: They said: "O our father! We went racing with one another, and left Joseph with our things; and the wolf devoured him.... But thou wilt never believe us even though we tell the truth." PICKTHAL: Saying: O our father! We went racing one with another, and left Joseph by our things, and the wolf devoured him, and thou believest not our saying even when we speak the truth. SHAKIR: They said: O our father! surely we went off racing and left Yusuf by our goods, so the wolf devoured him, and you will not believe us though we are truthful. YUSUFALI: They stained his shirt with false blood. He said: "Nay, but your minds have made up a tale (that may pass) with you, (for me) patience is most fitting: Against that which ye assert, it is Allah (alone) Whose help can be sought"..
PICKTHAL: And they came with false blood on his shirt. He said: Nay, but your minds have beguiled you into something. (My course is) comely patience. And Allah it is Whose help is to be sought in that (predicament) which ye describe. SHAKIR: And they brought his shirt with false blood upon it. He said: Nay, your souls have made the matter light for you, but patience is good and Allah is He Whose help is sought for against what you describe. YUSUFALI: Then there came a caravan of travellers: they sent their water-carrier (for water), and he let down his bucket (into the well)...He said: "Ah there! Good news! Here is a (fine) young man!" So they concealed him as a treasure! But Allah knoweth well all that they do! PICKTHAL: And there came a caravan, and they sent their waterdrawer. He let down his pail (into the pit). He said: Good luck! Here is a youth. And they hid him as a treasure, and Allah was Aware of what they did. SHAKIR: And there came travellers and they sent their water-drawer and he let down his bucket. He said: O good news! this is a youth; and they concealed him as an article of merchandise, and Allah knew what they did. YUSUFALI: The (Brethren) sold him for a miserable price, for a few dirhams counted out: in such low estimation did they hold him! PICKTHAL: And they sold him for a low price, a number of silver coins; and they attached no value to him. SHAKIR: And they sold him for a small price, a few pieces of silver, and they showed no desire for him. YUSUFALI: The man in Egypt who bought him, said to his wife: "Make his stay (among us) honourable: may be he will bring us much good, or we shall adopt him as a son." Thus did We establish Joseph in the land, that We might teach him the interpretation of stories (and events). And Allah hath full power and control over His affairs; but most among mankind know it not. PICKTHAL: And he of Egypt who purchased him said unto his wife: Receive him honourably. Perchance he may prove useful to us or we may adopt him as a son. Thus we established Joseph in the land that We might teach him the interpretation of events. And Allah was predominant in His career, but most of mankind know not. SHAKIR: And the Egyptian who bought him said to his wife: Give him an honorable abode, maybe he will be useful to us, or we may adopt him as a son. And thus did We establish Yusuf in the land and that We might teach him the interpretation of sayings; and Allah is the master of His affair, but most people do not know. YUSUFALI: When Joseph attained His full manhood, We gave him power and knowledge: thus do We reward those who do right. PICKTHAL: And And when he reached his prime We gave him wisdom and knowledge. Thus We reward the good. SHAKIR: And when he had attained his maturity, We gave him wisdom and knowledge: and thus do We reward those who do good. YUSUFALI: But she in whose house he was, sought to seduce him from his (true) self: she fastened the doors, and said: "Now come, thou (dear one)!" He said: "Allah forbid! truly (thy husband) is my lord! he made my sojourn agreeable! truly to no good come those who do wrong!" PICKTHAL: And she, in whose house he was, asked of him an evil act. She bolted the doors and said: Come! He said: I seek refuge in Allah! Lo! he is my lord, who hath treated me honourably. Lo! wrong-doers never prosper. SHAKIR: And she in whose house he was sought to make himself yield (to her), and she made fast the doors and said: Come forward. He said: I seek Allah's refuge, surely my Lord made good my abode: Surely the unjust do not prosper. YUSUFALI: And (with passion) did she desire him, and he would have desired her, but that he saw the evidence of his Lord: thus (did We order) that We might turn away from him (all) evil and shameful deeds: for he was one of Our servants, sincere and purified. PICKTHAL: She verily desired him, and he would have desired her if it had not been that he saw the argument of his Lord. Thus it was, that We might ward off from him evil and lewdness. Lo! he was of Our chosen slaves. SHAKIR: And certainly she made for him, and he would have made for her, were it not that he had seen the manifest evidence of his Lord; thus (it was) that We might turn away from him evil and indecency, surely he was one of Our sincere servants. YUSUFALI: So they both raced each other to the door, and she tore his shirt from the back: they both found her lord near the door. She said: "What is the (fitting) punishment for one who formed an evil design against thy wife, but prison or a grievous chastisement?" PICKTHAL: And they raced with one another to the door, and she tore his shirt from behind, and they met her lord and master at the door. She said: What shall be his reward, who wisheth evil to thy folk, save prison or a painful doom? SHAKIR: And they both hastened to the door, and she rent his shirt from behind and they met her husband at the door. She said: What is the punishment of him who intends evil to your wife except imprisonment or a painful chastisement? YUSUFALI: He said: "It was she that sought to seduce me - from my (true) self." And one of her household saw (this) and bore witness, (thus):- "If it be that his shirt is rent from the front, then is her tale true, and he is a liar! PICKTHAL: (Joseph) said: She it was who asked of me an evil act. And a witness of her own folk testified: If his shirt is torn from before, then she speaketh truth and he is of the liars. YUSUFALI: "But if it be that his shirt is torn from the back, then is she the liar, and he is telling the truth!" PICKTHAL: And if his shirt is torn from behind, then she hath lied and he is of the truthful. SHAKIR: And if his shirt is rent from behind, she tells a lie and he is one of the truthful. YUSUFALI: So when he saw his shirt,- that it was torn at the back,- (her husband) said: "Behold! It is a snare of you women! truly, mighty is your snare! PICKTHAL: So when he saw his shirt torn from behind, he said: Lo! this is of the guile of you women. Lo! the guile of you is very great. YUSUFALI: "O Joseph, pass this over! (O wife), ask forgiveness for thy sin, for truly thou hast been at fault!" PICKTHAL: O Joseph! Turn away from this, and thou, (O woman), ask forgiveness for thy sin. Lo! thou art of the faulty. SHAKIR: O Yusuf! turn aside from this; and (O my wife)! ask forgiveness for your fault, surely you are one of the wrong-doers. YUSUFALI: Ladies said in the City: "The wife of the (great) 'Aziz is seeking to seduce her slave from his (true) self: Truly hath he inspired her with violent love: we see she is evidently going astray." PICKTHAL: And women in the city said: The ruler's wife is asking of her slave-boy an ill-deed. Indeed he has smitten her to the heart with love. We behold her in plain aberration. SHAKIR: And women in the city said: The chiefs wife seeks her slave to yield himself (to her), surely he has affected her deeply with (his) love; most surely we see her in manifest error. YUSUFALI: When she heard of their malicious talk, she sent for them and prepared a banquet for them: she gave each of them a knife: and she said (to Joseph), "Come out before them." When they saw him, they did extol him, and (in their amazement) cut their hands: they said, "Allah preserve us! no mortal is this! this is none other than a noble angel!" PICKTHAL: And when she heard of their sly talk, she sent to them and prepared for them a cushioned couch (to lie on at the feast) and gave to every one of them a knife and said (to Joseph): Come out unto them! And when they saw him they exalted him and cut their hands, exclaiming: Allah Blameless! This is no a human being. This is not other than some gracious angel. SHAKIR: So when she heard of their sly talk she sent for them and prepared for them a repast, and gave each of them a knife, and said (to Yusuf): Come forth to them. So when they saw him, they deemed him great, and cut their hands (in amazement), and said: Remote is Allah (from inperfection); this is not a mortal; this is but a noble angel. YUSUFALI: She said: "There before you is the man about whom ye did blame me! I did seek to seduce him from his (true) self but he did firmly save himself guiltless!....and now, if he doth not my bidding, he shall certainly be cast into prison, and (what is more) be of the company of the vilest!" PICKTHAL: She said: This is he on whose account ye blamed me. I asked of him an evil act, but he proved continent, but if he do not my behest he verily shall be imprisoned, and verily shall be of those brought low. SHAKIR: She said: This is he with respect to whom you blamed me, and certainly I sought his yielding himself (to me), but he abstained, and if he does not do what I bid him, he shall certainly be imprisoned, and he shall certainly be of those who are in a state of ignominy. YUSUFALI: He said: "O my Lord! the prison is more to my liking than that to which they invite me: Unless Thou turn away their snare from me, I should (in my youthful folly) feel inclined towards them and join the ranks of the ignorant." PICKTHAL: He said: O my Lord! Prison is more dear than that unto which they urge me, and if Thou fend not off their wiles from me I shall incline unto them and become of the foolish. SHAKIR: He said: My Lord! the prison house is dearer to me than that to which they invite me; and if Thou turn not away their device from me, I will yearn towards them and become (one) of the ignorant. YUSUFALI: So his Lord hearkened to him (in his prayer), and turned away from him their snare: Verily He heareth and knoweth (all things). PICKTHAL: So his Lord heard his prayer and fended off their wiles from him. Lo! He is Hearer, Knower. SHAKIR: Thereupon his Lord accepted his prayer and turned away their guile from him; surely He is the Hearing, the Knowing. YUSUFALI: Then it occurred to the men, after they had seen the signs, (that it was best) to imprison him for a time. PICKTHAL: And it seemed good to them (the men-folk) after they had seen the signs (of his innocence) to imprison him for a time. SHAKIR: Then it occurred to them after they had seen the signs that they should imprison him till a time. YUSUFALI: Now with him there came into the prison two young men. Said one of them: "I see myself (in a dream) pressing wine." said the other: "I see myself (in a dream) carrying bread on my head, and birds are eating, thereof." "Tell us" (they said) "The truth and meaning thereof: for we see thou art one that doth good (to all)." PICKTHAL: And two young men went to prison with him. One of them said: I dreamed that I was pressing wine. The other said: I dreamed that I was carrying upon my head bread whereof the birds were eating. Announce unto us the interpretation, for we see thee of those good (at interpretation). SHAKIR: And two youths entered the prison with him. One of them said: I saw myself pressing wine. And the other said: I saw myself carrying bread on my head, of which birds ate. Inform us of its interpretation; surely we see you to be of the doers of good. YUSUFALI: He said: "Before any food comes (in due course) to feed either of you, I will surely reveal to you the truth and meaning of this ere it befall you: that is part of the (duty) which my Lord hath taught me. I have (I assure you) abandoned the ways of a people that believe not in Allah and that (even) deny the Hereafter. PICKTHAL: He said: The food which ye are given (daily) shall not come unto you but I shall tell you the interpretation ere it cometh unto you. This is of that which my Lord hath taught me. Lo! I have forsaken the religion of folk who believe not in Allah and are disbelievers in the Hereafter. YUSUFALI: "And I follow the ways of my fathers,- Abraham, Isaac, and Jacob; and never could we attribute any partners whatever to Allah: that (comes) of the grace of Allah to us and to mankind: yet most men are not grateful. PICKTHAL: And I have followed the religion of my fathers, Abraham and Isaac and Jacob. It never was for us to attribute aught as partner to Allah. This is of the bounty of Allah unto us (the seed of Abraham) and unto mankind; but most men give not thanks. YUSUFALI: "O my two companions of the prison! (I ask you): are many lords differing among themselves better, or the One Allah, Supreme and Irresistible? PICKTHAL: O my fellow-prisoners! Are divers lords better, or Allah the One, Almighty? SHAKIR: O my two mates of the prison! are sundry lords better or Allah the One, the Supreme? PICKTHAL: Those whom ye worship beside Him are but names which ye have named, ye and your fathers. Allah hath revealed no sanction for them. The decision rests with Allah only, Who hath commanded you that ye worship none save Him. This is the right religion, but most men know not. PICKTHAL: O my two fellow-prisoners! As for one of you, he will pour out wine for his lord to drink; and as for the other, he will be crucified so that the birds will eat from his head. Thus is the case judged concerning which ye did inquire. SHAKIR: O my two mates of the prison! as for one of you, he shall give his lord to drink wine; and as for the other, he shall be crucified, so that the birds shall eat from his head, the matter is decreed concerning which you inquired. YUSUFALI: And of the two, to that one whom he consider about to be saved, he said: "Mention me to thy lord." But Satan made him forget to mention him to his lord: and (Joseph) lingered in prison a few (more) years. PICKTHAL: And he said unto him of the twain who he knew would be released: Mention me in the presence of thy lord. But Satan caused him to forget to mention it to his lord, so he (Joseph) stayed in prison for some years. SHAKIR: And he said to him whom he knew would be delivered of the two: Remember me with your lord; but the Shaitan caused him to forget mentioning (it) to his lord, so he remained in the prison a few years. YUSUFALI: The king (of Egypt) said: "I do see (in a vision) seven fat kine, whom seven lean ones devour, and seven green ears of corn, and seven (others) withered. O ye chiefs! Expound to me my vision if it be that ye can interpret visions." PICKTHAL: And the king said: Lo! I saw in a dream seven fat kine which seven lean were eating, and seven green ears of corn and other (seven) dry. O notables! Expound for me my vision, if ye can interpret dreams. SHAKIR: And the king said: Surely I see seven fat kine which seven lean ones devoured; and seven green ears and (seven) others dry: O chiefs! explain to me my dream, if you can interpret the dream. YUSUFALI: They said: "A confused medley of dreams: and we are not skilled in the interpretation of dreams." PICKTHAL: They answered: Jumbled dreams! And we are not knowing in the interpretation of dreams. SHAKIR: They said: Confused dreams, and we do not know the interpretation of dreams. YUSUFALI: But the man who had been released, one of the two (who had been in prison) and who now bethought him after (so long) a space of time, said: "I will tell you the truth of its interpretation: send ye me (therefore)." PICKTHAL: And he of the two who was released, and (now) at length remembered, said: I am going to announce unto you the interpretation, therefore send me forth. YUSUFALI: "O Joseph!" (he said) "O man of truth! Expound to us (the dream) of seven fat kine whom seven lean ones devour, and of seven green ears of corn and (seven) others withered: that I may return to the people, and that they may understand." PICKTHAL: (And when he came to Joseph in the prison, he exclaimed): Joseph! O thou truthful one! Expound for us the seven fat kine which seven lean were eating and the seven green ears of corn and other (seven) dry, that I may return unto the people, so that they may know. SHAKIR: Yusuf! O truthful one! explain to us seven fat kine which seven lean ones devoured, and seven green ears and (seven) others dry, that I may go back to the people so that they may know. YUSUFALI: (Joseph) said: "For seven years shall ye diligently sow as is your wont: and the harvests that ye reap, ye shall leave them in the ear,- except a little, of which ye shall eat. PICKTHAL: He said: Ye shall sow seven years as usual, but that which ye reap, leave it in the ear, all save a little which ye eat. SHAKIR: He said: You shall sow for seven years continuously, then what you reap leave it in its ear except a little of which you eat. YUSUFALI: "Then will come after that (period) seven dreadful (years), which will devour what ye shall have laid by in advance for them,- (all) except a little which ye shall have (specially) guarded. PICKTHAL: Then after that will come seven hard years which will devour all that ye have prepared for them, save a little of that which ye have stored. YUSUFALI: "Then will come after that (period) a year in which the people will have abundant water, and in which they will press (wine and oil)." PICKTHAL: Then, after that, will come a year when the people will have plenteous crops and when they will press (wine and oil). SHAKIR: Then there will come after that a year in which people shall have rain and in which they shall press (grapes). YUSUFALI: So the king said: "Bring ye him unto me." But when the messenger came to him, (Joseph) said: "Go thou back to thy lord, and ask him, 'What is the state of mind of the ladies who cut their hands'? For my Lord is certainly well aware of their snare." PICKTHAL: And the king said: Bring him unto me. And when the messenger came unto him, he (Joseph) said: Return unto thy lord and ask him what was the case of the women who cut their hands. Lo! my Lord knoweth their guile. SHAKIR: And the king said: Bring him to me. So when the messenger came to him, he said: Go back to your lord and ask him, what is the case of the women who cut their hands; surely my Lord knows their guile. YUSUFALI: (The king) said (to the ladies): "What was your affair when ye did seek to seduce Joseph from his (true) self?" The ladies said: "Allah preserve us! no evil know we against him!" Said the 'Aziz's wife: "Now is the truth manifest (to all): it was I who sought to seduce him from his (true) self: He is indeed of those who are (ever) true (and virtuous). PICKTHAL: He (the king) (then sent for those women and) said: What happened when ye asked an evil act of Joseph? They answered: Allah Blameless! We know no evil of him. Said the wife of the ruler: Now the truth is out. I asked of him an evil act, and he is surely of the truthful. SHAKIR: He said: How was your affair when you sought Yusuf to yield himself (to you)? They said: Remote is Allah (from imperfection), we knew of no evil on his part. The chief's wife said: Now has the truth become established: I sought him to yield himself (to me), and he is most surely of the truthful ones. YUSUFALI: "This (say I), in order that He may know that I have never been false to him in his absence, and that Allah will never guide the snare of the false ones. PICKTHAL: (Then Joseph said: I asked for) this, that he (my lord) may know that I betrayed him not in secret, and that surely Allah guideth not the snare of the betrayers. SHAKIR: This is that he might know that I have not been unfaithful to him in secret and that Allah does not guide the device of the unfaithful. YUSUFALI: "Nor do I absolve my own self (of blame): the (human) soul is certainly prone to evil, unless my Lord do bestow His Mercy: but surely my Lord is Oft-forgiving, Most Merciful." PICKTHAL: I do not exculpate myself. Lo! the (human) soul enjoineth unto evil, save that whereon my Lord hath mercy. Lo! my Lord is Forgiving, Merciful. SHAKIR: And I do not declare myself free, most surely (man's) self is wont to command (him to do) evil, except such as my Lord has had mercy on, surely my Lord is Forgiving, Merciful. YUSUFALI: So the king said: "Bring him unto me; I will take him specially to serve about my own person." Therefore when he had spoken to him, he said: "Be assured this day, thou art, before our own presence, with rank firmly established, and fidelity fully proved! PICKTHAL: And the king said: Bring him unto me that I may attach him to my person. And when he had talked with him he said: Lo! thou art to-day in our presence established and trusted. SHAKIR: And the king said: Bring him to me, I will choose him for myself. So when he had spoken with him, he said: Surely you are in our presence today an honorable, a faithful one. YUSUFALI: (Joseph) said: "Set me over the store-houses of the land: I will indeed guard them, as one that knows (their importance)." PICKTHAL: He said: Set me over the storehouses of the land. Lo! I am a skilled custodian. SHAKIR: He said: Place me (in authority) over the treasures of the land, surely I am a good keeper, knowing well. YUSUFALI: Thus did We give established power to Joseph in the land, to take possession therein as, when, or where he pleased. We bestow of our Mercy on whom We please, and We suffer not, to be lost, the reward of those who do good. PICKTHAL: Thus gave We power to Joseph in the land. He was the owner of it where he pleased. We reach with Our mercy whom We will. We lose not the reward of the good. SHAKIR: And thus did We give to Yusuf power in the land-- he had mastery in it wherever he liked; We send down Our mercy on whom We please, and We do not waste the reward of those who do good. YUSUFALI: But verily the reward of the Hereafter is the best, for those who believe, and are constant in righteousness. PICKTHAL: And the reward of the Hereafter is better, for those who believe and ward off (evil). SHAKIR: And certainly the reward of the hereafter is much better for those who believe and guard (against evil). YUSUFALI: Then came Joseph's brethren: they entered his presence, and he knew them, but they knew him not. PICKTHAL: And Joseph's brethren came and presented themselves before him, and he knew them but they knew him not. SHAKIR: And Yusuf's brothers came and went in to him, and he knew them, while they did not recognize him. YUSUFALI: And when he had furnished them forth with provisions (suitable) for them, he said: "Bring unto me a brother ye have, of the same father as yourselves, (but a different mother): see ye not that I pay out full measure, and that I do provide the best hospitality? PICKTHAL: And when he provided them with their provision he said: Bring unto me a brother of yours from your father. See ye not that I fill up the measure and I am the best of hosts? SHAKIR: And when he furnished them with their provision, he said: Bring to me a brother of yours from your father; do you not see that I give full measure and that I am the best of hosts? YUSUFALI: "Now if ye bring him not to me, ye shall have no measure (of corn) from me, nor shall ye (even) come near me." PICKTHAL: And if ye bring him not unto me, then there shall be no measure for you with me, nor shall ye draw near. SHAKIR: But if you do not bring him to me, you shall have no measure (of corn) from me, nor shall you come near me. YUSUFALI: They said: "We shall certainly seek to get our wish about him from his father: Indeed we shall do it." PICKTHAL: They said: We will try to win him from his father: that we will surely do. SHAKIR: They said: We will strive to make his father yield in respect of him, and we are sure to do (it). YUSUFALI: And (Joseph) told his servants to put their stock-in-trade (with which they had bartered) into their saddle-bags, so they should know it only when they returned to their people, in order that they might come back. PICKTHAL: He said unto his young men: Place their merchandise in their saddlebags, so that they may know it when they go back to their folk, and so will come again. SHAKIR: And he said to his servants: Put their money into their bags that they may recognize it when they go back to their family, so that they may come back. YUSUFALI: Now when they returned to their father, they said: "O our father! No more measure of grain shall we get (unless we take our brother): So send our brother with us, that we may get our measure; and we will indeed take every care of him." PICKTHAL: So when they went back to their father they said: O our father! The measure is denied us, so send with us our brother that we may obtain the measure, surely we will guard him well. SHAKIR: So when they returned to their father, they said: O our father, the measure is withheld from us, therefore send with us our brother, (so that) we may get the measure, and we will most surely guard him. YUSUFALI: He said: "Shall I trust you with him with any result other than when I trusted you with his brother aforetime? But Allah is the best to take care (of him), and He is the Most Merciful of those who show mercy!" PICKTHAL: He said: Can I entrust him to you save as I entrusted his brother to you aforetime? Allah is better at guarding, and He is the Most Merciful of those who show mercy. SHAKIR: He said: I cannot trust in you with respect to him, except as I trusted in you with respect to his brother before; but Allah is the best Keeper, and He is the most Merciful of the merciful ones. YUSUFALI: Then when they opened their baggage, they found their stock-in-trade had been returned to them. They said: "O our father! What (more) can we desire? this our stock-in-trade has been returned to us: so we shall get (more) food for our family; We shall take care of our brother; and add (at the same time) a full camel's load (of grain to our provisions). This is but a small quantity. PICKTHAL: And when they opened their belongings they discovered that their merchandise had been returned to them. They said: O our father! What (more) can we ask? Here is our merchandise returned to us. We shall get provision for our folk and guard our brother, and we shall have the extra measure of a camel (load). This (that we bring now) is a light measure. SHAKIR: And when they opened their goods, they found their money returned to them. They said: O our father! what (more) can we desire? This is our property returned to us, and we will bring corn for our family and guard our brother, and will have in addition the measure of a camel (load); this is an easy measure. YUSUFALI: (Jacob) said: "Never will I send him with you until ye swear a solemn oath to me, in Allah's name, that ye will be sure to bring him back to me unless ye are yourselves hemmed in (and made powerless). And when they had sworn their solemn oath, he said: "Over all that we say, be Allah the witness and guardian!" PICKTHAL: He said: I will not send him with you till ye give me an undertaking in the name of Allah that ye will bring him back to me, unless ye are surrounded. And when they gave him their undertaking he said: Allah is the Warden over what we say. SHAKIR: He said: I will by no means send him with you until you give me a firm covenant in Allah's name that you will most certainly bring him back to me, unless you are completely surrounded. And when they gave him their covenant, he said: Allah is the One in Whom trust is placed as regards what we say. YUSUFALI: Further he said: "O my sons! enter not all by one gate: enter ye by different gates. Not that I can profit you aught against Allah (with my advice): None can command except Allah: On Him do I put my trust: and let all that trust put their trust on Him." PICKTHAL: And he said: O my sons! Go not in by one gate; go in by different gates. I can naught avail you as against Allah. Lo! the decision rests with Allah only. In Him do I put my trust, and in Him let all the trusting put their trust. SHAKIR: And he said: O my sons ! do not (all) enter by one gate and enter by different gates and I cannot avail you aught against Allah; judgment is only Allah's; on Him do I rely, and on Him let those who are reliant rely. YUSUFALI: And when they entered in the manner their father had enjoined, it did not profit them in the least against (the plan of) Allah: It was but a necessity of Jacob's soul, which he discharged. For he was, by our instruction, full of knowledge (and experience): but most men know not. PICKTHAL: And when they entered in the manner which their father had enjoined, it would have naught availed them as against Allah; it was but a need of Jacob's soul which he thus satisfied; and lo! he was a lord of knowledge because We had taught him; but most of mankind know not. SHAKIR: And when they had entered as their father had bidden them, it did not avail them aught against Allah, but (it was only) a desire in the soul of Yaqoub which he satisfied; and surely he was possessed of knowledge because We had given him knowledge, but most people do not know. YUSUFALI: Now when they came into Joseph's presence, he received his (full) brother to stay with him. He said (to him): "Behold! I am thy (own) brother; so grieve not at aught of their doings." PICKTHAL: And when they went in before Joseph, he took his brother unto him, saying: Lo! I, even I, am thy brother, therefore sorrow not for what they did. SHAKIR: And when they went in to Yusuf. he lodged his brother with himself, saying: I am your brother, therefore grieve not at what they do. YUSUFALI: At length when he had furnished them forth with provisions (suitable) for them, he put the drinking cup into his brother's saddle-bag. Then shouted out a crier: "O ye (in) the caravan! behold! ye are thieves, without doubt!" PICKTHAL: And when he provided them with their provision, he put the drinking-cup in his brother's saddlebag, and then a crier cried: O camel-riders! Lo! ye are surely thieves! SHAKIR: So when he furnished them with their provisions, (someone) placed the drinking cup in his brother's bag. Then a crier cried out: O caravan! you are most surely thieves. YUSUFALI: They said, turning towards them: "What is it that ye miss?" PICKTHAL: They cried, coming toward them: What is it ye have lost? SHAKIR: They said while they were facing them: What is it that you miss? YUSUFALI: They said: "We miss the great beaker of the king; for him who produces it, is (the reward of) a camel load; I will be bound by it." PICKTHAL: They said: We have lost the king's cup, and he who bringeth it shall have a camel-load, and I (said Joseph) am answerable for it. SHAKIR: They said: We miss the king's drinking cup, and he who shall bring it shall have a camel-load and I am responsible for it. YUSUFALI: (The brothers) said: "By Allah! well ye know that we came not to make mischief in the land, and we are no thieves!" PICKTHAL: They said: By Allah, well ye know we came not to do evil in the land, and are no thieves. SHAKIR: They said: By Allah! you know for certain that we have not come to make mischief in the land, and we are not thieves. YUSUFALI: (The Egyptians) said: "What then shall be the penalty of this, if ye are (proved) to have lied?" PICKTHAL: They said: And what shall be the penalty for it, if ye prove liars? SHAKIR: They said: But what shall be the requital of this, if you are liars? YUSUFALI: They said: "The penalty should be that he in whose saddle-bag it is found, should be held (as bondman) to atone for the (crime). Thus it is we punish the wrong-doers!" PICKTHAL: They said: The penalty for it! He in whose bag (the cup) is found, he is the penalty for it. Thus we requite wrong-doers. SHAKIR: They said: The requital of this is that the person in whose bag it is found shall himself be (held for) the satisfaction thereof; thus do we punish the wrongdoers. YUSUFALI: So he began (the search) with their baggage, before (he came to) the baggage of his brother: at length he brought it out of his brother's baggage. Thus did We plan for Joseph. He could not take his brother by the law of the king except that Allah willed it (so). We raise to degrees (of wisdom) whom We please: but over all endued with knowledge is one, the All-Knowing. PICKTHAL: Then he (Joseph) began the search with their bags before his brother's bag, then he produced it from his brother's bag. Thus did We contrive for Joseph. He could not have taken his brother according to the king's law unless Allah willed. We raise by grades (of mercy) whom We will, and over every lord of knowledge there is one more knowing. SHAKIR: So he began with their sacks before the sack of his brother, then he brought it out from his brother's sack. Thus did We plan for the sake of Yusuf; it was not (lawful) that he should take his brother under the king's law unless Allah pleased; We raise the degrees of whomsoever We please, and above every one possessed of knowledge is the All-knowing one. YUSUFALI: They said: "If he steals, there was a brother of his who did steal before (him)." But these things did Joseph keep locked in his heart, revealing not the secrets to them. He (simply) said (to himself): "Ye are the worse situated; and Allah knoweth best the truth of what ye assert!" PICKTHAL: They said: If he stealeth, a brother of his stole before. But Joseph kept it secret in his soul and revealed it not unto them. He said (within himself): Ye are in worse case, and Allah knoweth best (the truth of) that which ye allege. SHAKIR: They said: If he steal, a brother of his did indeed steal before; but Yusuf kept it secret in his heart and did not disclose it to them. He said: You are in an evil condition and Allah knows best what you state. YUSUFALI: They said: "O exalted one! Behold! he has a father, aged and venerable, (who will grieve for him); so take one of us in his place; for we see that thou art (gracious) in doing good." PICKTHAL: They said: O ruler of the land! Lo! he hath a very aged father, so take one of us instead of him. Lo! we behold thee of those who do kindness. SHAKIR: They said: O chief! he has a father, a very old man, therefore retain one of us in his stead; surely we see you to be of the doers of good. YUSUFALI: He said: "Allah forbid that we take other than him with whom we found our property: indeed (if we did so), we should be acting wrongfully. PICKTHAL: He said: Allah forbid that we should seize save him with whom we found our property; then truly we should be wrong-doers. SHAKIR: He said: Allah protect us that we should seize other than him with whom we found our property, for then most surely we would be unjust. YUSUFALI: Now when they saw no hope of his (yielding), they held a conference in private. The leader among them said: "Know ye not that your father did take an oath from you in Allah's name, and how, before this, ye did fail in your duty with Joseph? Therefore will I not leave this land until my father permits me, or Allah commands me; and He is the best to command. PICKTHAL: So, When they despaired of (moving) him, they conferred together apart. The eldest of them said: Know ye not how your father took an undertaking from you in Allah's name and how ye failed in the case of Joseph aforetime? Therefore I shall not go forth from the land until my father giveth leave or Allah judgeth for me. He is the Best of Judges. YUSUFALI: "Turn ye back to your father, and say, 'O our father! behold! thy son committed theft! we bear witness only to what we know, and we could not well guard against the unseen! PICKTHAL: Return unto your father and say: O our father! Lo! thy son hath stolen. We testify only to that which we know; we are not guardians of the Unseen. YUSUFALI: "'Ask at the town where we have been and the caravan in which we returned, and (you will find) we are indeed telling the truth.'" PICKTHAL: Ask the township where we were, and the caravan with which we travelled hither. Lo! we speak the truth. SHAKIR: And inquire in the town in which we were and the caravan with which we proceeded, and most surely we are truthful. YUSUFALI: Jacob said: "Nay, but ye have yourselves contrived a story (good enough) for you. So patience is most fitting (for me). Maybe Allah will bring them (back) all to me (in the end). For He is indeed full of knowledge and wisdom." PICKTHAL: (And when they came unto their father and had spoken thus to him) he said: Nay, but your minds have beguiled you into something. (My course is) comely patience! It may be that Allah will bring them all unto me. Lo! He, only He, is the Knower, the Wise. SHAKIR: He (Yaqoub) said: Nay, your souls have made a matter light for you, so patience is good; maybe Allah will bring them all together to me; surely He is the Knowing, the Wise. YUSUFALI: And he turned away from them, and said: "How great is my grief for Joseph!" And his eyes became white with sorrow, and he fell into silent melancholy. PICKTHAL: And he turned away from them and said: Alas, my grief for Joseph! And his eyes were whitened with the sorrow that he was suppressing. SHAKIR: And he turned away from them, and said: O my sorrow for Yusuf! and his eyes became white on account of the grief, and he was a repressor (of grief). YUSUFALI: They said: "By Allah! (never) wilt thou cease to remember Joseph until thou reach the last extremity of illness, or until thou die!" PICKTHAL: They said: By Allah, thou wilt never cease remembering Joseph till thy health is ruined or thou art of those who perish! SHAKIR: They said: By Allah! you will not cease to remember Yusuf until you are a prey to constant disease or (until) you are of those who perish. PICKTHAL: He said: I expose my distress and anguish only unto Allah, and I know from Allah that which ye know not. SHAKIR: He said: I only complain of my grief and sorrow to Allah, and I know from Allah what you do not know. YUSUFALI: "O my sons! go ye and enquire about Joseph and his brother, and never give up hope of Allah's Soothing Mercy: truly no one despairs of Allah's Soothing Mercy, except those who have no faith." PICKTHAL: Go, O my sons, and ascertain concerning Joseph and his brother, and despair not of the Spirit of Allah. Lo! none despaireth of the Spirit of Allah save disbelieving folk. SHAKIR: O my sons! Go and inquire respecting Yusuf and his brother, and despair not of Allah's mercy; surely none despairs of Allah's mercy except the unbelieving people. YUSUFALI: Then, when they came (back) into (Joseph's) presence they said: "O exalted one! distress has seized us and our family: we have (now) brought but scanty capital: so pay us full measure, (we pray thee), and treat it as charity to us: for Allah doth reward the charitable." SHAKIR: So when they came in to him, they said: O chief! distress has afflicted us and our family and we have brought scanty money, so give us full measure and be charitable to us; surely Allah rewards the charitable. YUSUFALI: He said: "Know ye how ye dealt with Joseph and his brother, not knowing (what ye were doing)?" PICKTHAL: He said: Know ye what ye did unto Joseph and his brother in your ignorance? SHAKIR: He said: Do you know how you treated Yusuf and his brother when you were ignorant? YUSUFALI: They said: "Art thou indeed Joseph?" He said, "I am Joseph, and this is my brother: Allah has indeed been gracious to us (all): behold, he that is righteous and patient,- never will Allah suffer the reward to be lost, of those who do right." PICKTHAL: They said: Is it indeed thou who art Joseph? He said: I am Joseph and this is my brother. Allah hath shown us favour. Lo! he who wardeth off (evil) and endureth (findeth favour); for lo! Allah loseth not the wages of the kindly. SHAKIR: They said: Are you indeed Yusuf? He said: I am Yusuf and this is my brother; Allah has indeed been gracious to us; surely he who guards (against evil) and is patient (is rewarded) for surely Allah does not waste the reward of those who do good. YUSUFALI: They said: "By Allah! indeed has Allah preferred thee above us, and we certainly have been guilty of sin!" PICKTHAL: They said: By Allah, verily Allah hath preferred thee above us, and we were indeed sinful. SHAKIR: They said: By Allah! now has Allah certainly chosen you over us, and we were certainly sinners. YUSUFALI: He said: "This day let no reproach be (cast) on you: Allah will forgive you, and He is the Most Merciful of those who show mercy! PICKTHAL: He said: Have no fear this day! May Allah forgive you, and He is the Most Merciful of those who show mercy. SHAKIR: He said: (There shall be) no reproof against you this day; Allah may forgive you, and He is the most Merciful of the merciful. YUSUFALI: "Go with this my shirt, and cast it over the face of my father: he will come to see (clearly). Then come ye (here) to me together with all your family." PICKTHAL: Go with this shirt of mine and lay it on my father's face, he will become (again) a seer; and come to me with all your folk. SHAKIR: Take this my shirt and cast it on my father's face, he will (again) be able to see, and come to me with all your families. YUSUFALI: When the caravan left (Egypt), their father said: "I do indeed scent the presence of Joseph: Nay, think me not a dotard." PICKTHAL: When the caravan departed their father had said: Truly I am conscious of the breath of Joseph, though ye call me dotard. SHAKIR: And when the caravan had departed, their father said: Most surely I perceive the greatness of Yusuf, unless you pronounce me to be weak in judgment. YUSUFALI: They said: "By Allah! truly thou art in thine old wandering mind." PICKTHAL: (Those around him) said: By Allah, lo! thou art in thine old aberration. SHAKIR: They said: By Allah, you are most surely in your old error. YUSUFALI: Then when the bearer of the good news came, He cast (the shirt) over his face, and he forthwith regained clear sight. He said: "Did I not say to you, 'I know from Allah that which ye know not?'" PICKTHAL: Then, when the bearer of glad tidings came, he laid it on his face and he became a seer once more. He said: Said I not unto you that I know from Allah that which ye know not? SHAKIR: So when the bearer of good news came he cast it on his face, so forthwith he regained his sight. He said: Did I not say to you that I know from Allah what you do not know? YUSUFALI: They said: "O our father! ask for us forgiveness for our sins, for we were truly at fault." PICKTHAL: They said: O our father! Ask forgiveness of our sins for us, for lo! we were sinful. SHAKIR: They said: O our father! ask forgiveness of our faults for us, surely we were sinners. YUSUFALI: He said: "Soon will I ask my Lord for forgiveness for you: for he is indeed Oft-Forgiving, Most Merciful." PICKTHAL: He said: I shall ask forgiveness for you of my Lord. Lo! He is the Forgiving, the Merciful. SHAKIR: He said: I will ask for you forgiveness from my Lord; surely He is the Forgiving, the Merciful. YUSUFALI: Then when they entered the presence of Joseph, he provided a home for his parents with himself, and said: "Enter ye Egypt (all) in safety if it please Allah." PICKTHAL: And when they came in before Joseph, he took his parents unto him, and said: Come into Egypt safe, if Allah will! SHAKIR: Then when they came in to Yusuf, he took his parents to lodge with him and said: Enter safe into Egypt, if Allah please. YUSUFALI: And he raised his parents high on the throne (of dignity), and they fell down in prostration, (all) before him. He said: "O my father! this is the fulfilment of my vision of old! Allah hath made it come true! He was indeed good to me when He took me out of prison and brought you (all here) out of the desert, (even) after Satan had sown enmity between me and my brothers. Verily my Lord understandeth best the mysteries of all that He planneth to do, for verily He is full of knowledge and wisdom. PICKTHAL: And he placed his parents on the dais and they fell down before him prostrate, and he said: O my father! This is the interpretation of my dream of old. My Lord hath made it true, and He hath shown me kindness, since He took me out of the prison and hath brought you from the desert after Satan had made strife between me and my brethren. Lo! my Lord is tender unto whom He will. He is the Knower, the Wise. SHAKIR: And he raised his parents upon the throne and they fell down in prostration before him, and he said: O my father! this is the significance of my vision of old; my Lord has indeed made it to be true; and He was indeed kind to me when He brought me forth from the prison and brought you from the desert after the Shaitan had sown dissensions between me and my brothers, surely my Lord is benignant to whom He pleases; surely He is the Knowing, the Wise. YUSUFALI: "O my Lord! Thou hast indeed bestowed on me some power, and taught me something of the interpretation of dreams and events,- O Thou Creator of the heavens and the earth! Thou art my Protector in this world and in the Hereafter. Take Thou my soul (at death) as one submitting to Thy will (as a Muslim), and unite me with the righteous." PICKTHAL: O my Lord! Thou hast given me (something) of sovereignty and hast taught me (something) of the interpretation of events - Creator of the heavens and the earth! Thou art my Protecting Guardian in the world and the Hereafter. Make me to die muslim (unto Thee), and join me to the righteous. SHAKIR: My Lord! Thou hast given me of the kingdom and taught me of the interpretation of sayings: Originator of the heavens and the earth! Thou art my guardian in this world and the hereafter; make me die a muslim and join me with the good. YUSUFALI: Such is one of the stories of what happened unseen, which We reveal by inspiration unto thee; nor wast thou (present) with them then when they concerted their plans together in the process of weaving their plots. PICKTHAL: This is of the tidings of the Unseen which We inspire in thee (Muhammad). Thou wast not present with them when they fixed their plan and they were scheming. SHAKIR: This is of the announcements relating to the unseen (which) We reveal to you, and you were not with them when they resolved upon their affair, and they were devising plans. YUSUFALI: Yet no faith will the greater part of mankind have, however ardently thou dost desire it. PICKTHAL: And though thou try much, most men will not believe. SHAKIR: And most men will not believe though you desire it eagerly. YUSUFALI: And no reward dost thou ask of them for this: it is no less than a message for all creatures. PICKTHAL: Thou askest them no fee for it. It is naught else than a reminder unto the peoples. SHAKIR: And you do not ask them for a reward for this; it is nothing but a reminder for all mankind. YUSUFALI: And how many Signs in the heavens and the earth do they pass by? Yet they turn (their faces) away from them! PICKTHAL: How many a portent is there in the heavens and the earth which they pass by with face averted! SHAKIR: And how many a sign in the heavens and the earth which they pass by, yet they turn aside from it. YUSUFALI: And most of them believe not in Allah without associating (other as partners) with Him! PICKTHAL: And most of them believe not in Allah except that they attribute partners (unto Him). SHAKIR: And most of them do not believe in Allah without associating others (with Him). YUSUFALI: Do they then feel secure from the coming against them of the covering veil of the wrath of Allah,- or of the coming against them of the (final) Hour all of a sudden while they perceive not? PICKTHAL: Deem they themselves secure from the coming on them of a pall of Allah's punishment, or the coming of the Hour suddenly while they are unaware? SHAKIR: Do they then feel secure that there may come to them an extensive chastisement from Allah or (that) the hour may come to them suddenly while they do not perceive? YUSUFALI: Say thou: "This is my way: I do invite unto Allah,- on evidence clear as the seeing with one's eyes,- I and whoever follows me. Glory to Allah! and never will I join gods with Allah!" PICKTHAL: Say: This is my Way: I call on Allah with sure knowledge. I and whosoever followeth me - Glory be to Allah! - and I am not of the idolaters. SHAKIR: Say: This is my way: I call to Allah, I and those who follow me being certain, and glory be to Allah, and I am not one of the polytheists. YUSUFALI: Nor did We send before thee (as messengers) any but men, whom we did inspire,- (men) living in human habitations. Do they not travel through the earth, and see what was the end of those before them? But the home of the hereafter is best, for those who do right. Will ye not then understand? SHAKIR: And We have not sent before you but men from (among) the people of the towns, to whom We sent revelations. Have they not then travelled in the land and seen what was the end of those before them? And certainly the abode of the hereafter is best for those who guard (against evil); do you not then understand? YUSUFALI: (Respite will be granted) until, when the messengers give up hope (of their people) and (come to) think that they were treated as liars, there reaches them Our help, and those whom We will are delivered into safety. But never will be warded off our punishment from those who are in sin. PICKTHAL: Till, when the messengers despaired and thought that they were denied, then came unto them Our help, and whom We would was saved. And Our wrath cannot be warded from the guilty. SHAKIR: Until when the messengers despaired and the people became sure that they were indeed told a lie, Our help came to them and whom We pleased was delivered; and Our punishment is not averted from the guilty people. YUSUFALI: There is, in their stories, instruction for men endued with understanding. It is not a tale invented, but a confirmation of what went before it,- a detailed exposition of all things, and a guide and a mercy to any such as believe. PICKTHAL: In their history verily there is a lesson for men of understanding. It is no invented story but a confirmation of the existing (Scripture) and a detailed explanation of everything, and a guidance and a mercy for folk who believe. SHAKIR: In their histories there is certainly a lesson for men of understanding. It is not a narrative which could be forged, but a verification of what is before it and a distinct explanation of all things and a guide and a mercy to a people who believe.